I like it dry. But I’m not talking about a good martini here. I’m talking about the land, specifically about a part of the world capable of seducing the most desert-averse souls: the US Southwest. A few days ago, Facebook reminded me that it’s been one year since I was hiking, rowing and climbing on all fours in awe-inspiring landscapes. I haven’t written about travelling for a while, so I decided to take a walk down memory lane via my photos to gather a few memories and put pen to paper. If you’ve been meaning to visit this area, you may find some ideas in these lines. 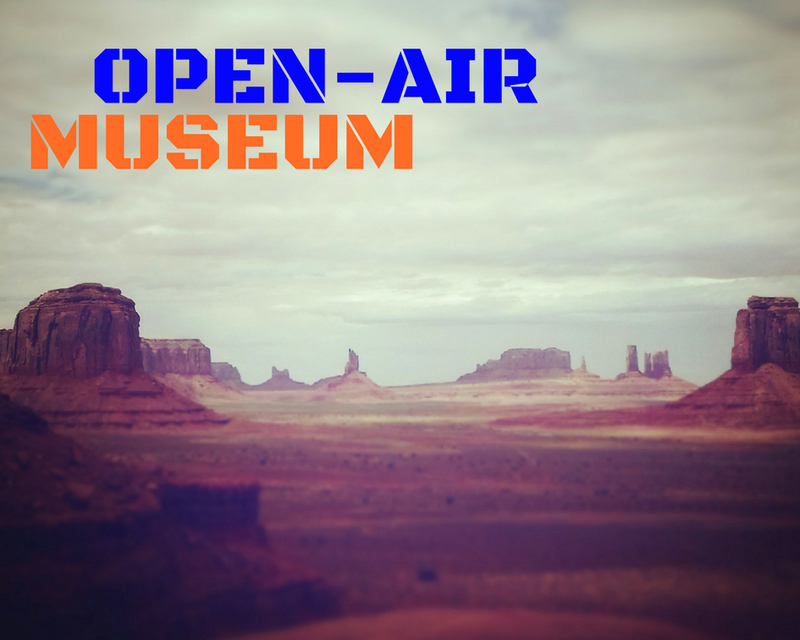 If you’ve visited, share your own insights in the comments. After years dreaming of it, we wanted an epic trip, so we allotted three full weeks. We flew from London to Las Vegas, the perfect gateway to visit the area. The US is designed for automobiles and, consequently road trips are the best way to discover the country. 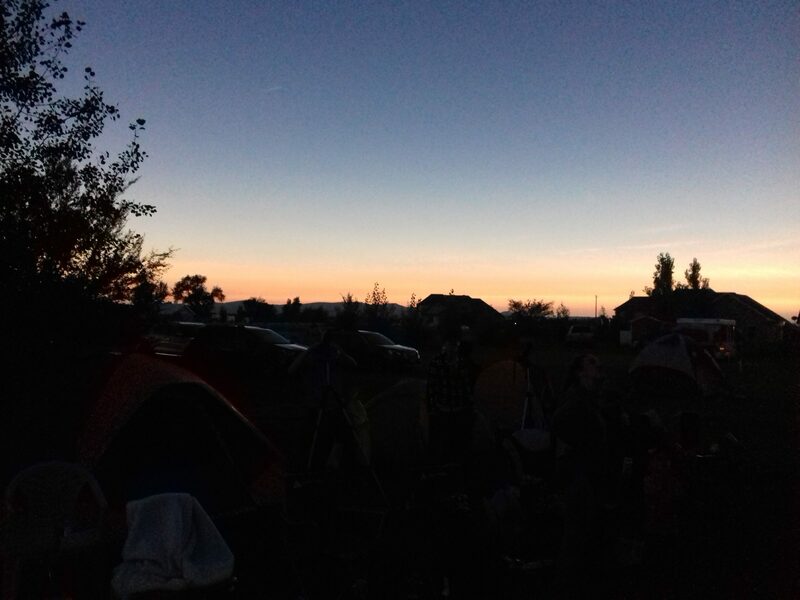 This is what we did – we rented a car at the airport, stocked up on camping and food supplies, and headed northeast to the Arizona-Utah border. Get in the car with us, hit play (below) and prepare yourself for a real treat! Strange as it may sound, we skipped the Grand Canyon, but only because we witnessed its magnificence over a decade ago; if you haven’t seen it, it’s on your to-do list. 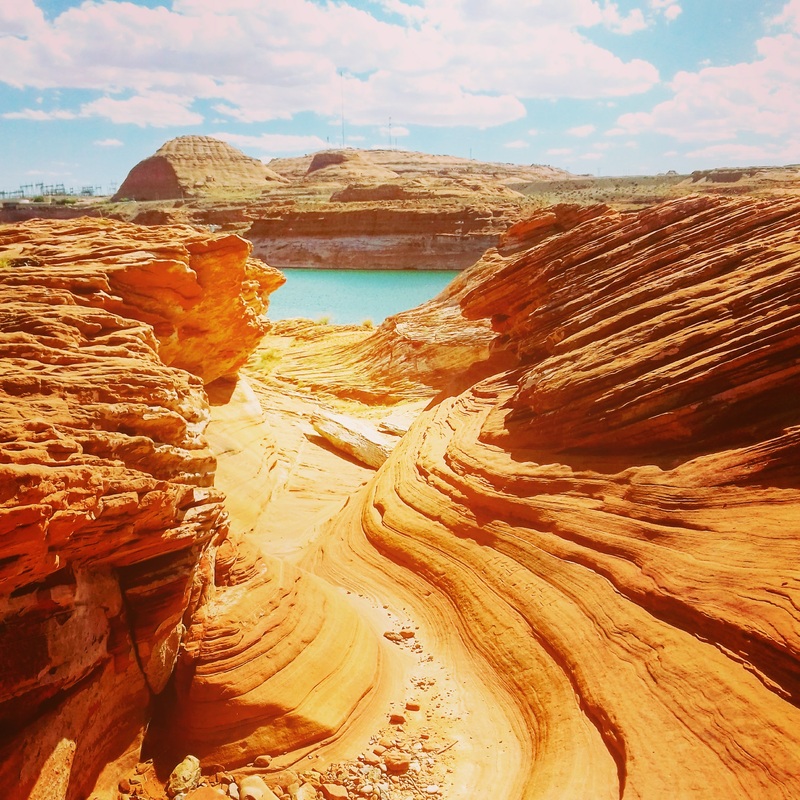 This time we went straight to the smaller canyons and deep blue waters of Lake Powell. 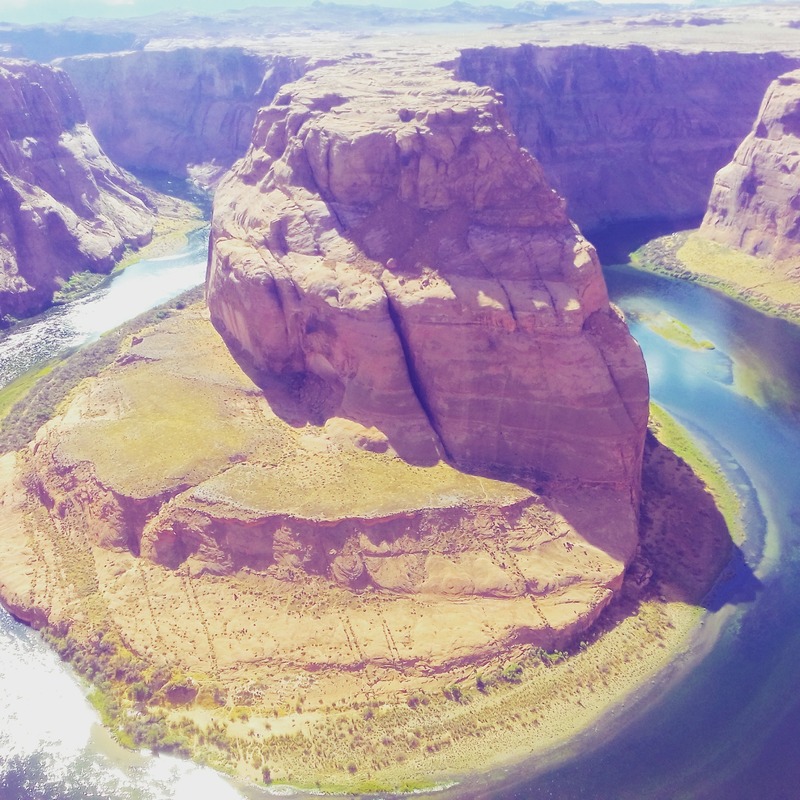 The first stop before hitting the campground already managed to take our breath away: Horseshoe Bend appeared before our eyes as a true gift from time and erosion, the first of many to come. 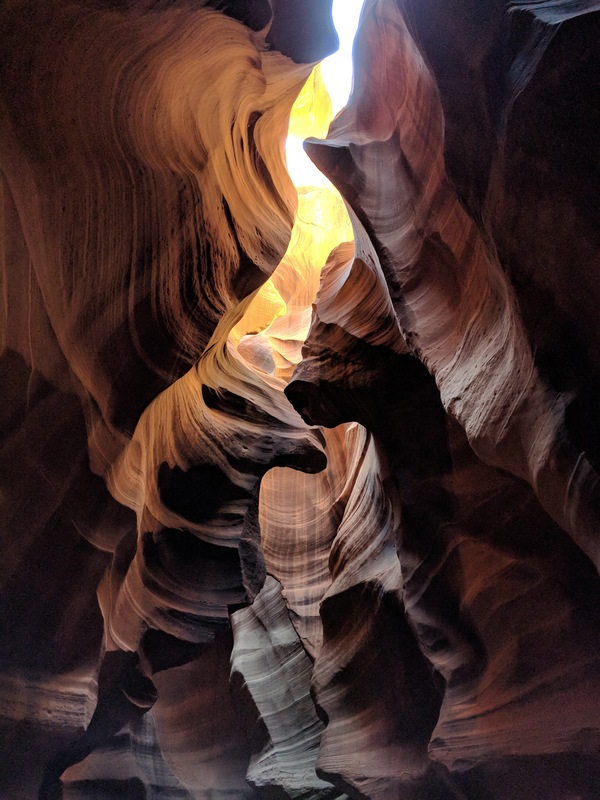 While in Page, AZ we had booked two tours in advance because otherwise, the chances of seeing any place in the area without making reservations are as skinny as some of the slot canyons we found ourselves in. The first one was Upper Antelope Canyon, a masterpiece created by years of erosion of Navajo sandstone. The tour guides – all Native Americans – drive you to the entrance of the canyon, which appears unexpectedly on a wall, and walk with you inside. The beauty of the place is unquestionable, but the flow of people walking along the impossibly narrow opening just kills the magic. My longing for this canyon suddenly turned into deception. Also, the best time to see it is about midday, when the sun is high up in the sky, and our tour was at 8 a.m. It’s probably worth booking the more expensive photographic tour, if only to cut down on the number of other visitors with you. 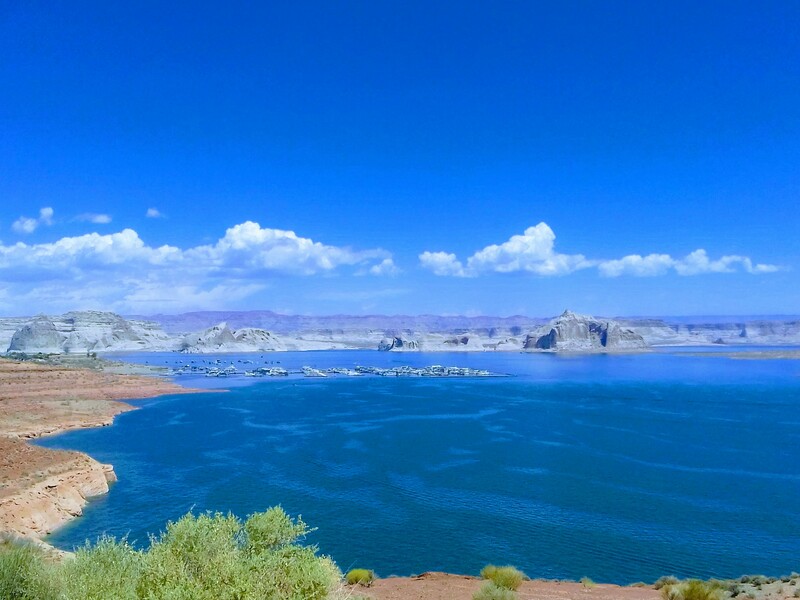 The blue waters of Lake Powell were our antidote for the rest of the day: swimming at Lone Rock Beach and munching on Mexican snacks lying on warm, smooth rocks gave us time to look forward to our kayak tour in the lower part of Antelope Canyon the day after. 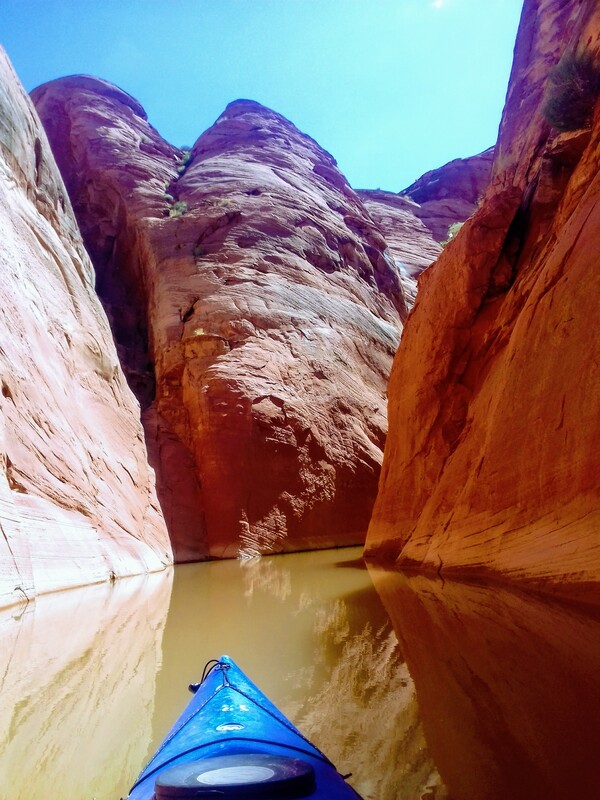 Soon enough, there we were with a college student ready to guide us along a wide part of the lake that slowly turned into my dream canyon with only the three of us paddling up its vessels and into its heart. Pure bliss. Until it got so narrow that my kayak got stuck on both ends trying to turn around, so I switched to backwards mode and reversed my way out until I could turn around. These two walls trying to kiss are still the place where I find myself when I need to get lost in thought. 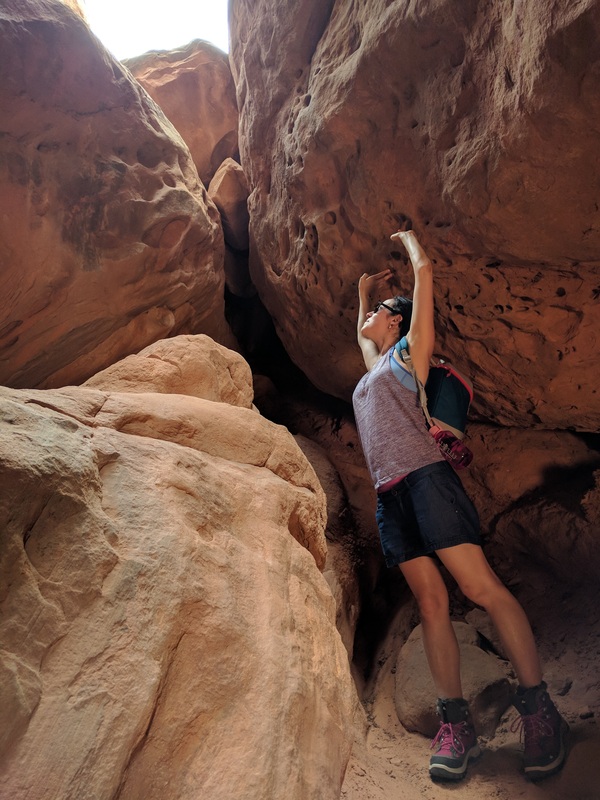 The guide told us about a hidden slot canyon – Buckskin Gulch – about 40 minutes away by car, so that afternoon we set out to find it, which wasn’t so easy. It’s hard to grasp how a wide and flat river bed turns into a crack on a wall and, suddenly there it is! It’s not difficult to see why people drown when they surprisingly find themselves there during a flash flood. The film 127 Hours shows it in a spine-tingling scene. Sadly, a recent flood had moved rocks around, making it impossible to continue after a few metres, but we still managed to feel the heartbeat of its narrow spine, and we were completely alone. I felt so privileged. 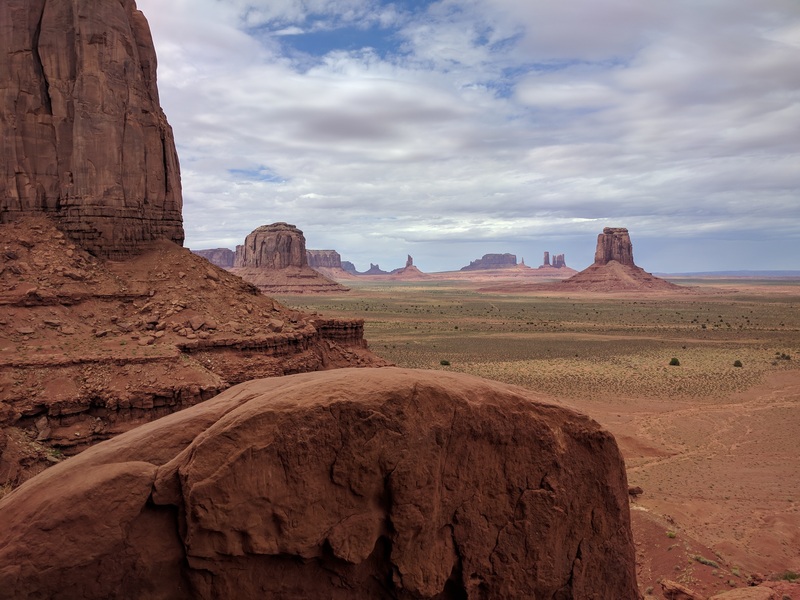 Our next stop was Monument Valley, which knocked my socks off completely. Such a powerful landscape! 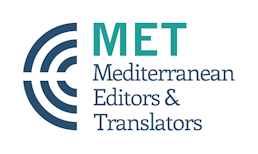 As though Mr Wind and Ms Water (yes, I’m showing my true Spanish colours by assigning gender to the elements) were sending a clear message: no man-made art will ever compare to their own mastery of beauty. 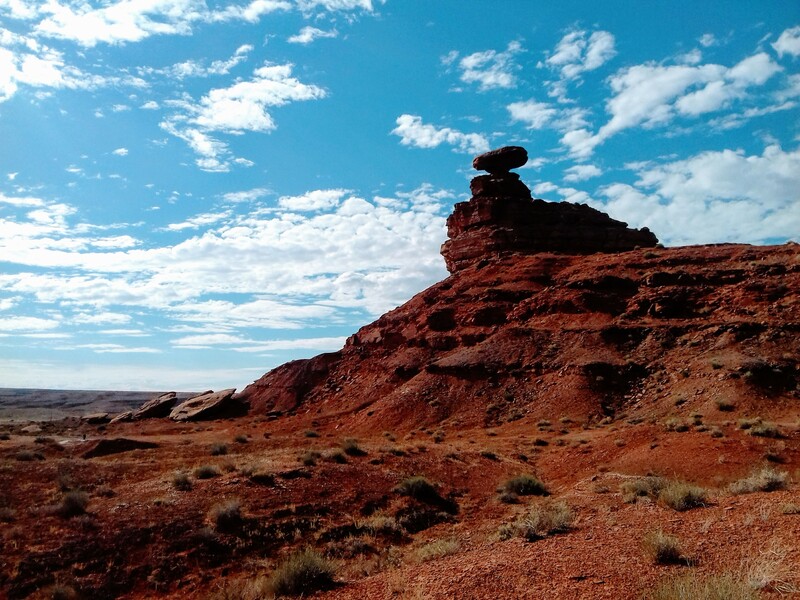 This butte-studded land is located in Navajo Country, which means the America the Beautiful Pass (look into it before going to check if it covers the parks you want to visit) that grants access to national parks isn’t good here and you have to pay $20. 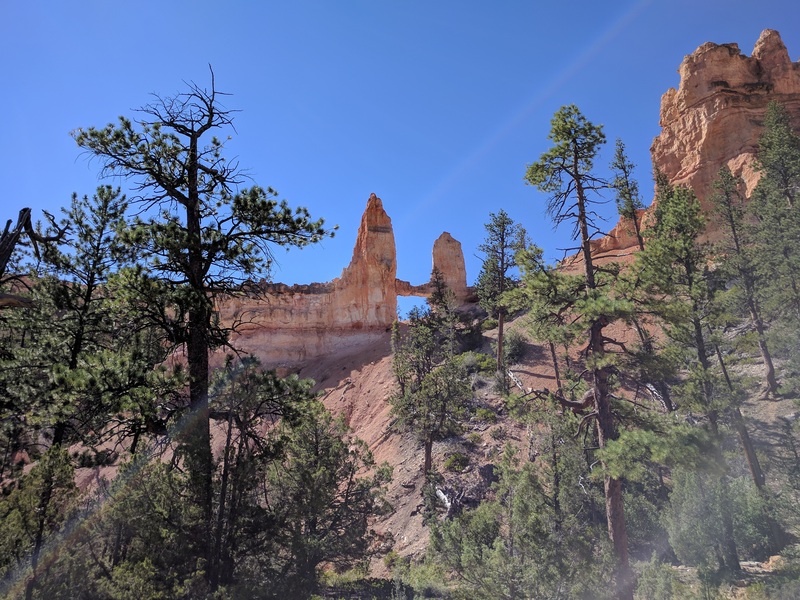 On the way to the nearby Valley of the Gods – far less visited and also worth exploring – we stopped at a landmark for film buffs: the spot where Forrest Gump decided to stop running and go back home. 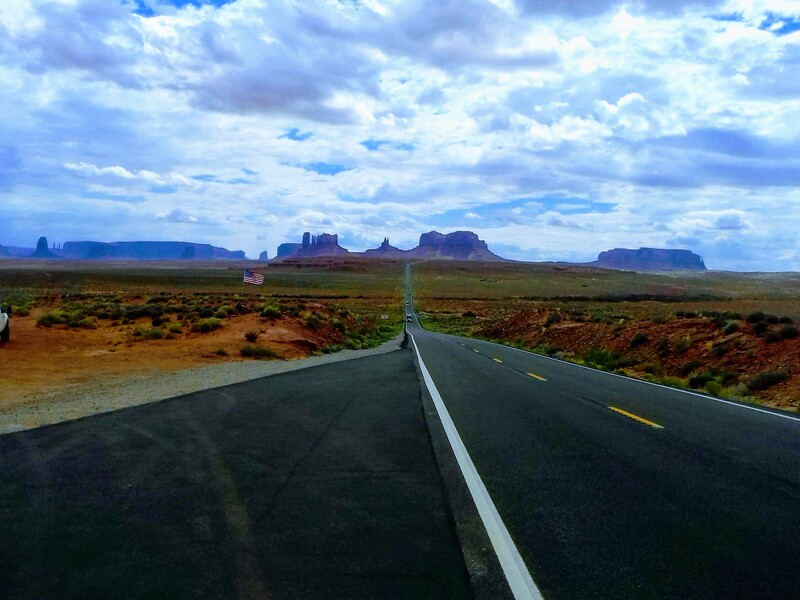 This road led to the town of Mexican Hat, where we spent a night in an actual bed before driving to Moab. 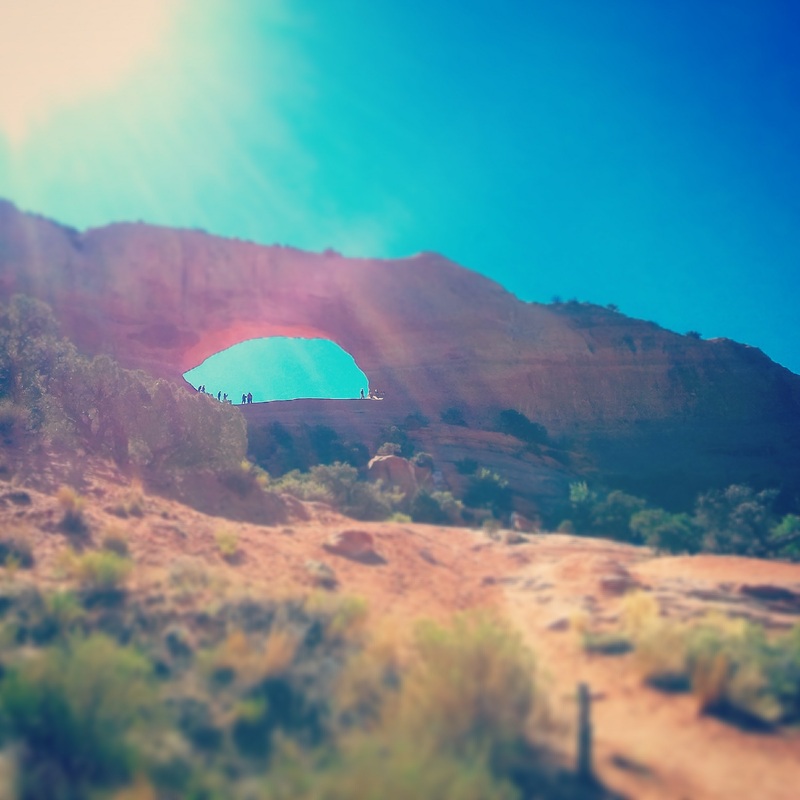 On the way, there’s a perfect place to stop: Wilson Arch. We parked on the side of the road and climbed this sturdy jewel! A little taste of what was to come at Arches National Park. The arches are obviously the big attraction here, but not the only one. 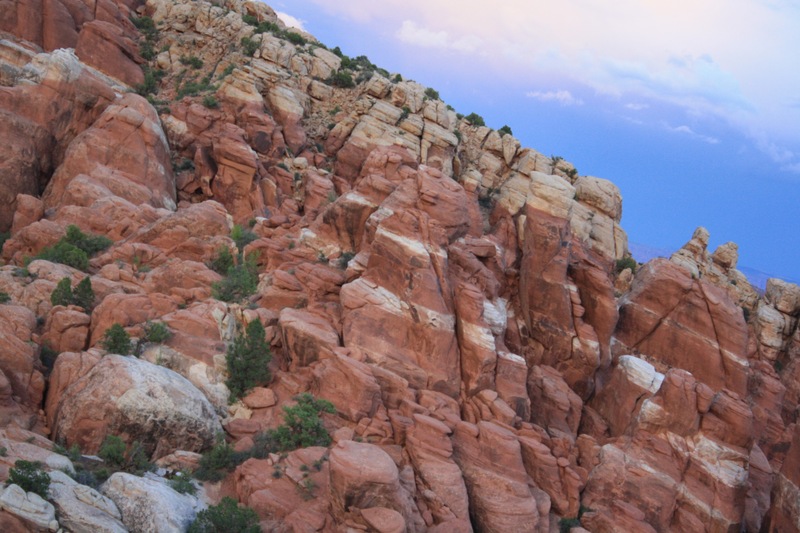 There’s a spectacular area for which a special permit and a brief orientation are required: Fiery Furnace. This scantily signalled rock forest offers a real opportunity to get lost in cracks, caves, and crevices. If, like me, you enjoy the type of hiking and climbing that requires all four limbs, this is your spot. 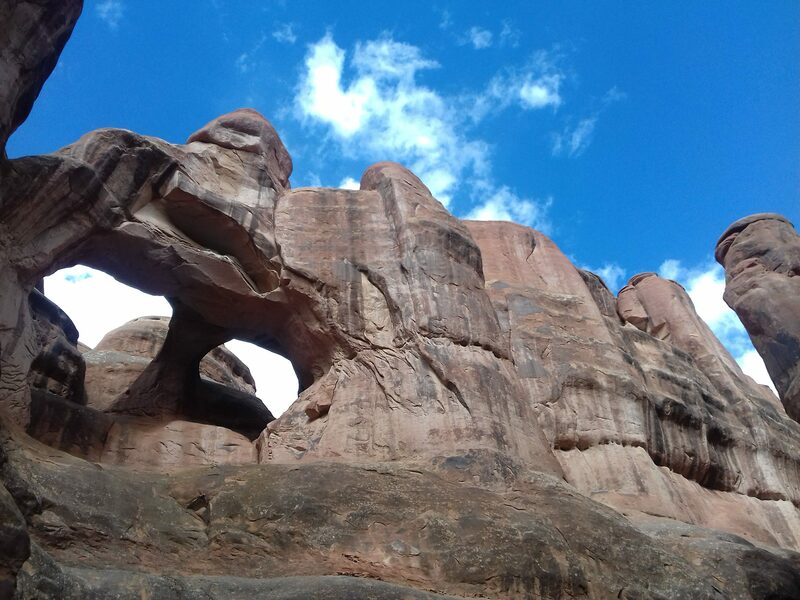 We found ourselves hanging from salients, backing up from fissures with no exit, and looking up at secret arches only to be found by those who, by chance, stop for a snack below them. Our first night in Moab happened to be the Perseids meteor shower and the park was open all night. Walking barefoot on the soft sand sandwiched by tall rock walls at twilight is an almost illegal pleasure. 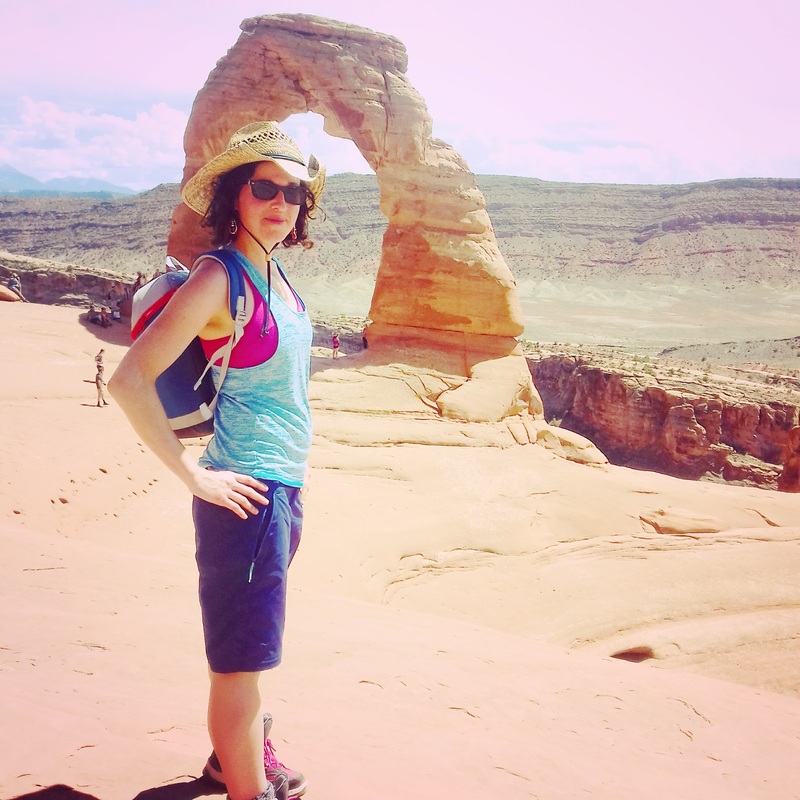 Being on the hunt for arches with the sole light of a headlamp was an adrenaline-rushing enterprise given the terrain, but equally private and personal. The wait for the three shooting stars that crossed the night sky was an exercise of patience, and the pitch darkness enveloping us felt kind of scary – you know you’re surrounded by colossal natural sculptures, but you can barely make out their profiles against the dark backdrop. 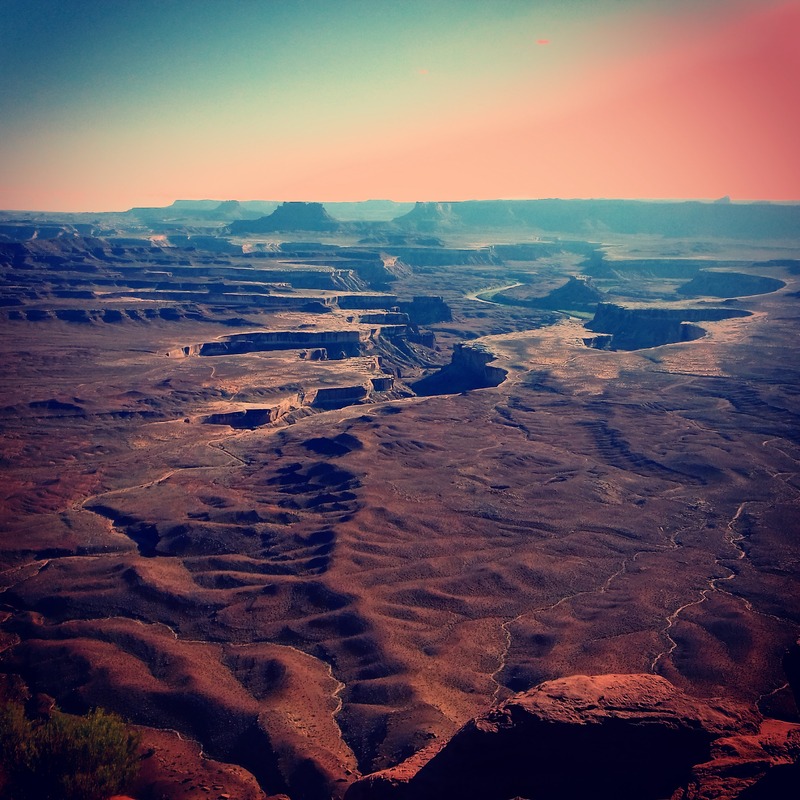 One day later, after an eventful hike that drained us mentally and physically, it was time to take the drive to nearby Canyonlands, where the above-mentioned film 127 Hours was shot. We didn’t have time to explore the entrails of the spidery alleyways that deeply scar this land, but the views from the Grand View Point Overlook were worth the drive. 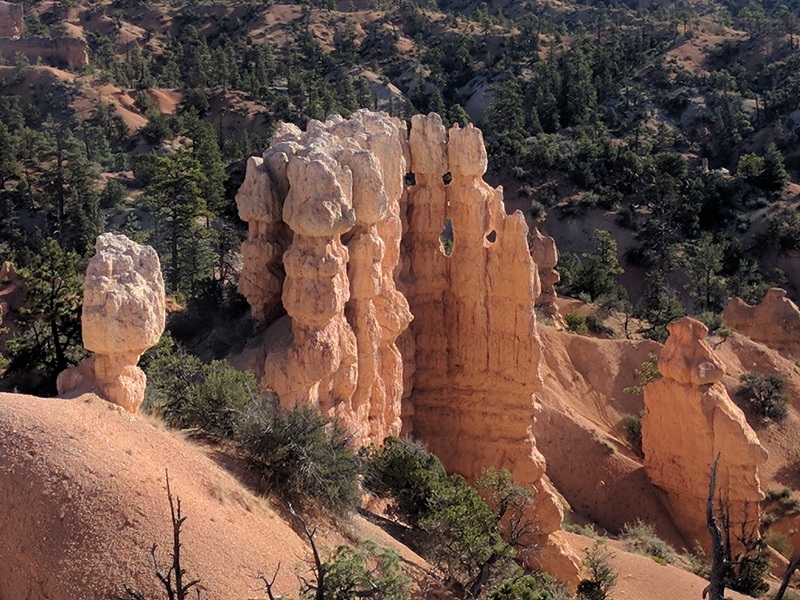 The depth and width of some parts are reminiscent of the Grand Canyon, the big brother where all these masterpieces of erosion mouth further south. 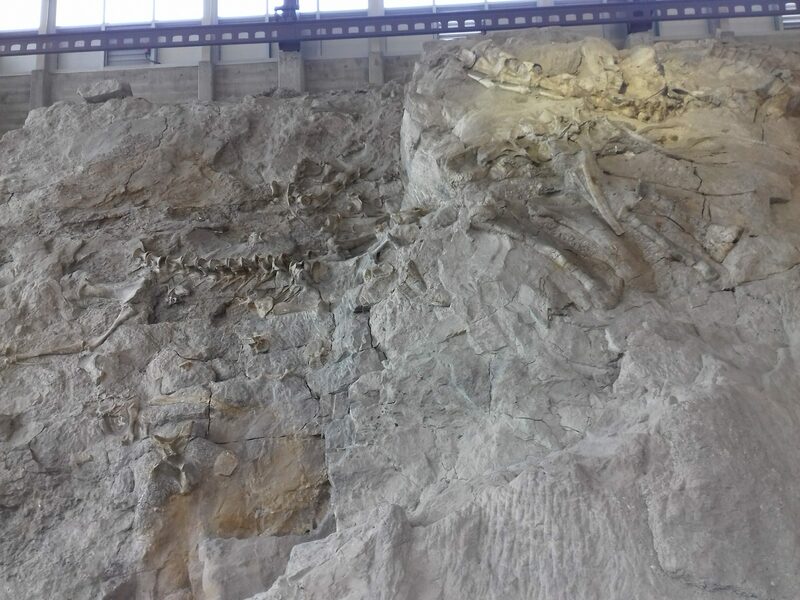 And pulled by the force of an upcoming eclipse, we left behind the Southwest and set off on a long drive to Wyoming, which took us through Colorado and a wall full of dinosaur bones. The temperatures dropped notably as the snow-capped peaks of the Teton Mountains appeared on the horizon. 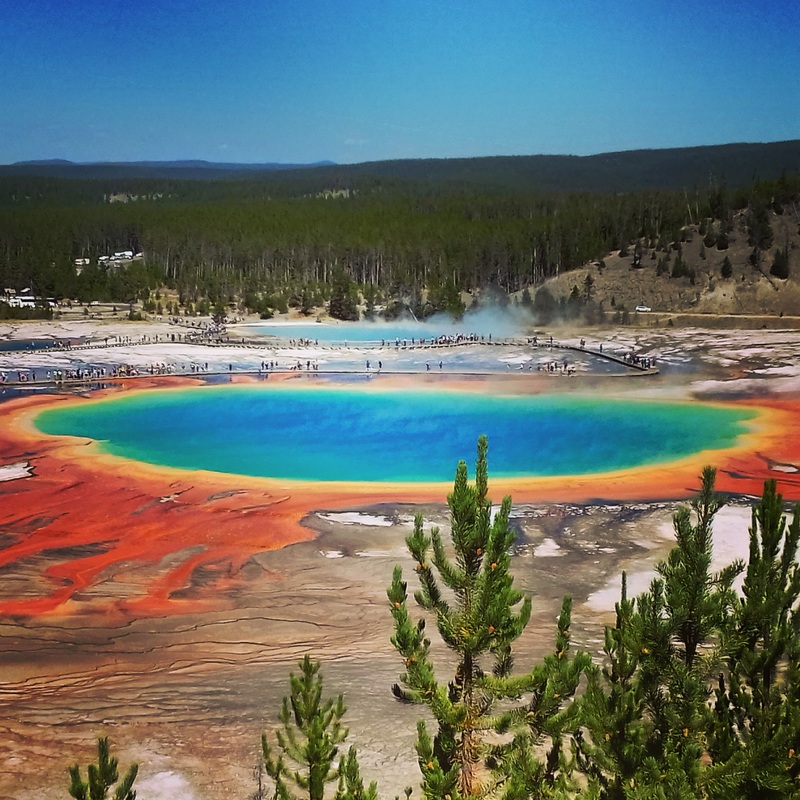 Camping in a tent made for the summer was far from pleasurable in Yellowstone, our next stop. Here, the views were also breathtaking, but in a different, outlandish way. 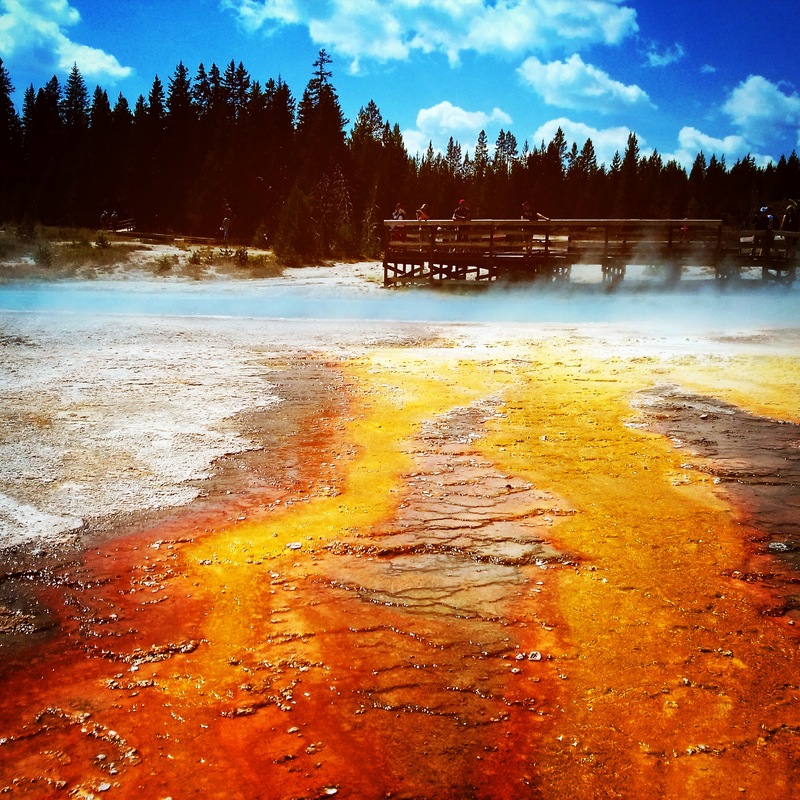 The supervolcano that lies under this land is far from dormant, and although there’s no sight of lava, the steam, the geysers, the impossibly colourful hot springs, the frozen-in-time cascades, and foul-smelling sulfuric eruptions are a constant reminder that you’d better watch your step. 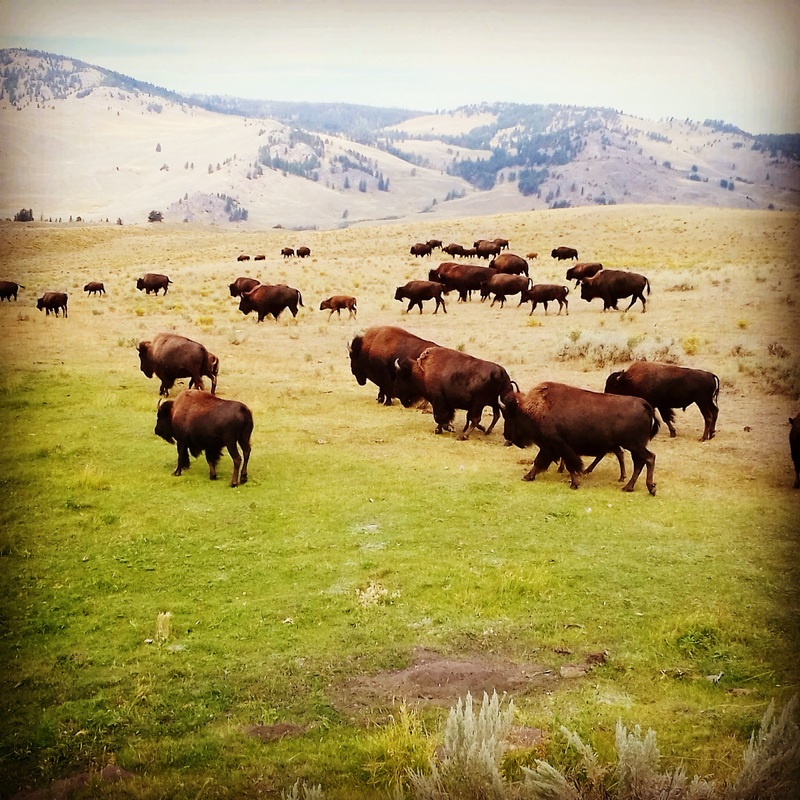 On this strangely beautiful planet, buffaloes and bears are king. They rule this unforgiving corner of the US, which means you have to stop your car on the road to give way to a herd of furry friends or yell your way through the forest to alert bears you’re around. Pepper spray is key here: you don’t want to use it, but you definitely want to have it on you. The downside of such a massive park? Precisely that, its size. Driving from one place to the next takes forever – a less enjoyable face of the American road trip experience. 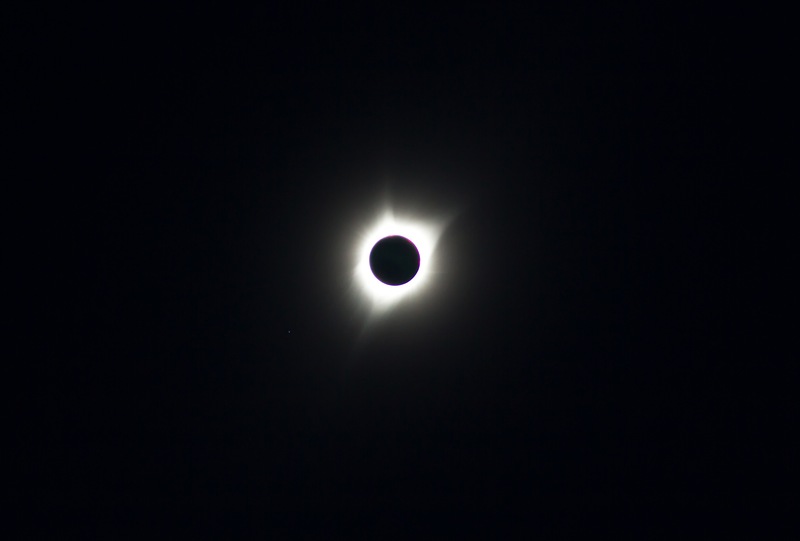 Our next stop was Idaho, where we saw something as awkward as hard to put into words: a total solar eclipse. The temperature dropped, then the brightness dropped, and within a few seconds, we were surrounded by a 360-degree sunset that seemed somehow grey, outlandish. This is what 11:15 a.m. looks like during a total solar eclipse. Experiencing that in a big group of people added to the unique weirdness. 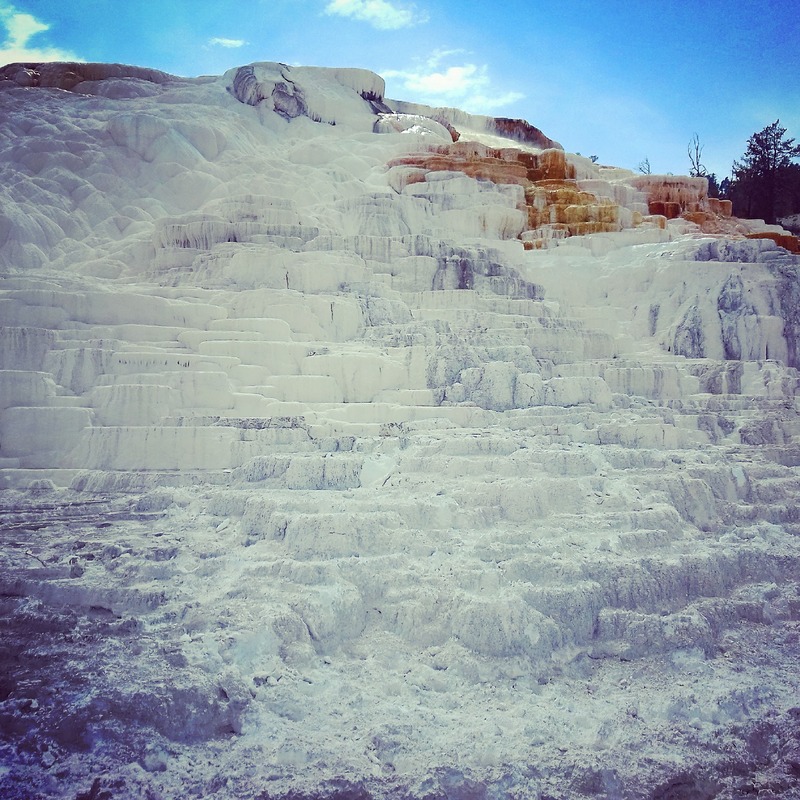 Back in Utah, we spent a night at Bear Lake, soaked our feet in the Great Salt Lake, and paid a visit to the world’s pumping heart of Mormonism: Salt Lake City. We learned a bit more about this interesting Church via several exhibits and some volunteers willing to spread the word. 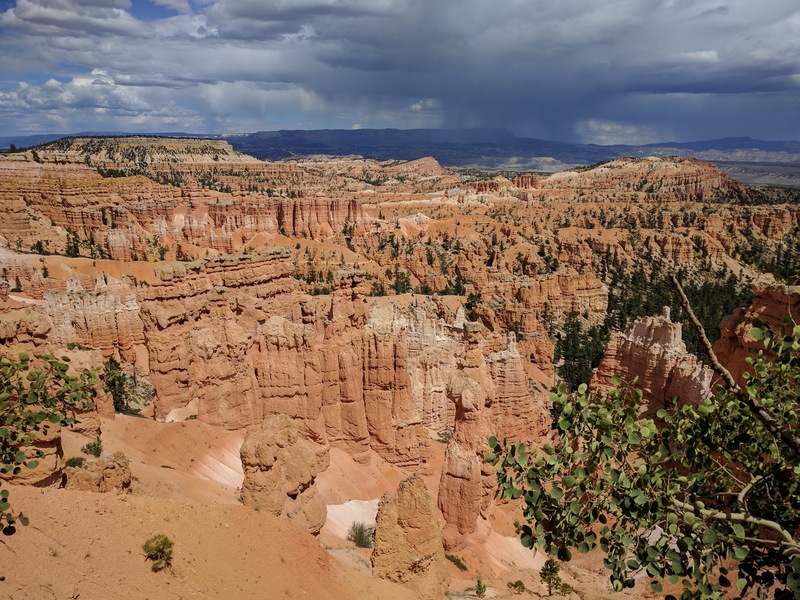 Still unconvinced and longing for less asphalt and more limestone, we headed to our last adventure: Bryce Canyon National Park. The majestic amphitheatre and viewing areas with names like Sunset Point and Inspiration Point did not disappoint us. Hidden away among hoodoos a wind-chiseled version of London’s Tower Bridge appeared before our eyes as a cruel reminder of our looming return to the concrete jungle. The last night in Las Vegas before our return flight felt dehumanising: two-legged animals frantically pouring out of ostentatiously lit man-made temples – sheer sanctuaries of shattered values. Just a warm-up to get us ready for the big city across the pond that awaited us. However, all the paved evil in the world couldn’t have emptied us of the calm we carried deep inside after almost three weeks wrapped in the mighty arms of nature. It’s time to stop the music now, but don’t push stop; stay in a ‘pause’ state because we’re coming back! 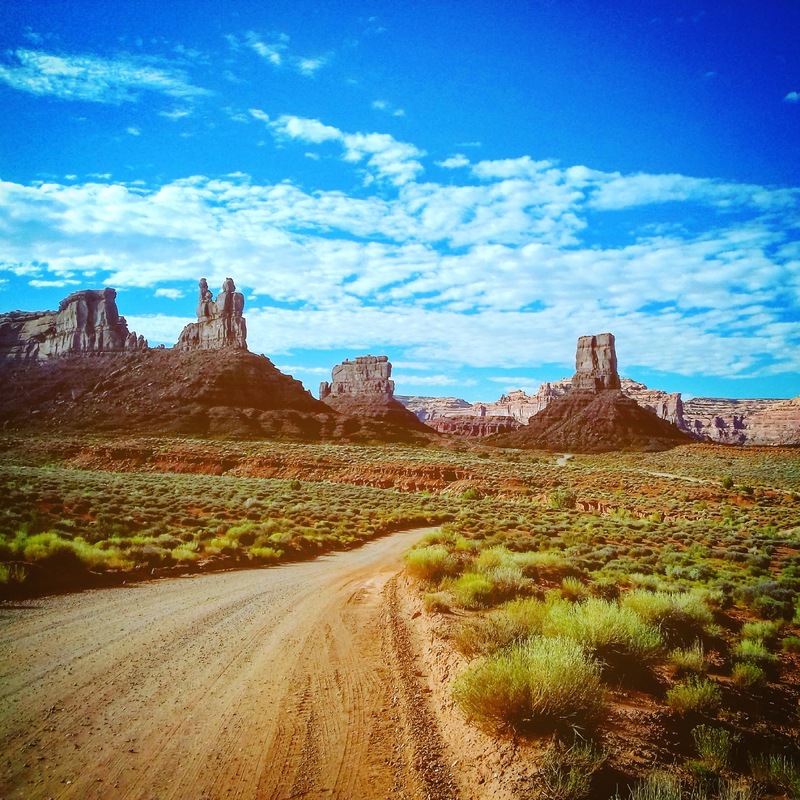 Have you ever ‘road tripped’ in the US? What type of landscapes do you long for? Have you visited the same area but got a different impression? Feel free to share/ask for more in the comments below!